If you have been hurt in a Roswell or Fulton County bike accident, Georgia Bike Law is ready to help with any legal claims. Georgia Bike Law attorneys Ken Rosskopf and Bruce Hagen are passionate about biking, and they are vocal legal advocates for cyclists throughout Georgia. 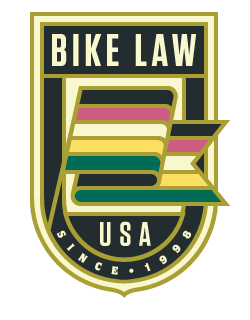 Georgia Bike Law is honored to be recommended by Georgia Bikes!, a statewide bicyclist advocacy group. Contact Bruce and Ken through the Bicycle Accident Report Form about your case. It only takes a minute to complete. Bicycle Friendly Community: Since 2006 (Bronze Level). Advocacy Group: Bike Roswell, a nonprofit group with more than 400 members, is dedicated to encouraging cycling in and around town. The Official Scoop: Roswell was Georgia’s first Bicycle Friendly Community, as designated by the League of American Bicyclists. The city’s website notes: Roswell has a special commitment to all aspects of cycling. To nurture this commitment, the City of Roswell formed the Bicycle Advisory Committee in fall 2014. The city website also shows Roswell’s Bicycle Network as of 2014. The city site includes information on bicycle safety. Quick facts on bike facilities in Roswell: Roswell has 59.4 miles of bicycle facilities, including 11.9 miles of marked bicycle lanes (width: >4 feet); 32.8 miles of bicycle shoulders (width: 2-4 feet); and 14.7 miles of paved shoulders (width: 0.5-2 feet). Group rides: Rides include a Saturday group ride and Roswell’s unofficial Tuesday Night Criterium. Flickr photo from Wikipedia by Carrie Qualters.